There’s no better way to start your Kamakura adventure than by just diving straight in, with so much to see and do while in this historic city you have no time to waste. Head straight to Kencho-ji temple, the oldest temple in Kamakura and one of Japan’s top ranked zen Buddhist sites, and the number one Buddhist temple in Kamakura. Although over the years the temple has shrunk in size, what it lacks in grandeur it makes up for in history. Founded in 1253 during the Kencho Era, the temple once boasted an incredible 49 sub temples to its name. These days only a limited number of the several halls and sub-temples still exist, so you can really gather the magnitude of this religious mecca. From here it’s on to visiting one of the city’s other popular and iconic spiritual sites, the Great Kamakura Buddha. 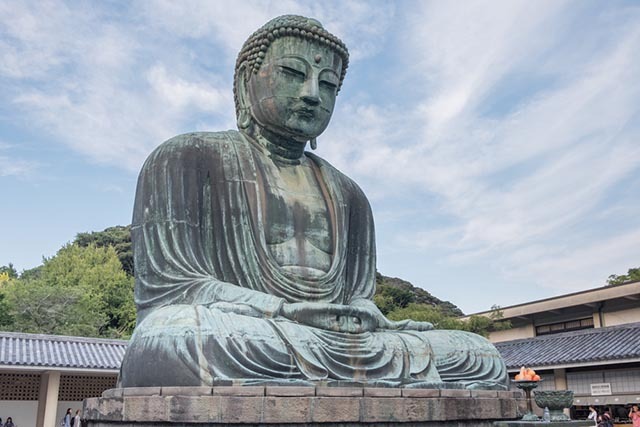 Known more formally as Kamakura Daibutsu, this 13.35-meter tall bronze statue is was built in the memory of Amida Buddha and towers over the Kotokuin Temple grounds. Once an indoor statue, the years or relentless weather wore away at his place of residence and these days the figure sits in the open air, greeting visitors all year round. Because the statue is hollow, visitors can view the interior for a small additional fee on top of the 200 yen that it costs to enter the temple grounds. Now it’s time for lunch a little shopping break so wander back to Hase station and catch the Enoden line to Kamakura’s main station. 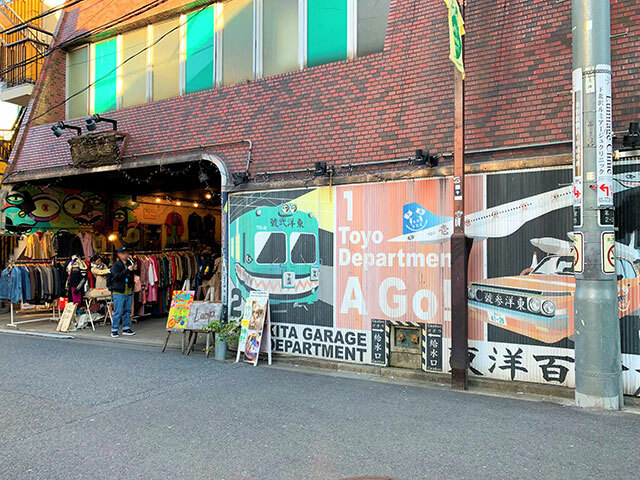 Situated next to the station you’ll find Komachi-dori, Kamakura’ most popular shopping strip. The street’s collection of traditional gift stores, food shops and restaurants attract an estimated 19 million visitors each year. If you want to truly taste Kamakura you can’t go past a shirasu-don lunch. Shirasu-don is whitebait over rice and it’s a local speciality. To finish your lunch explore the myriad of Japanese sweets such as crepes on offer, but don’t go past the pastel purple sweet potato purple soft serve, which has become synonymous with this little pocket of Japan. 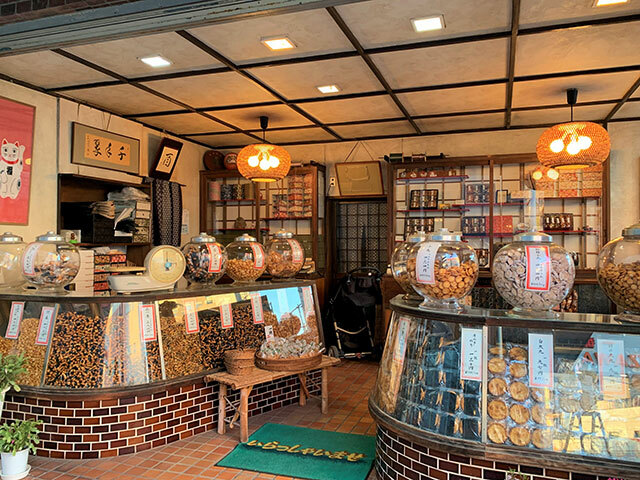 With about 250 shops and restaurants located here on the strip, including a famous Ghibli store, what you can do here at Komachi-dori is really only limited to your imagination. Following the great shrine tour, embark on a leisurely stroll along Dankazura, a pedestrian path in the centre of Wakamiya Oji Street. The street used to be a sacred space to the public and was an essential part of the city’s religious life during the Kamakura shogunate period. Lined with several hundred cherry trees, Dankazura is a popular cherry blossom viewing spot in spring. Indeed, the breathtaking sight has won it a reputation of being one of the top 100 streets in Japan. If you have the time, follow the path up all the way to the Tsurugaoka Hachimangu one of Kamakura’s most important shrines. After a day of walking and exploring it’s time to reward yourself to a hearty and comforting dinner at one of the city’s highly regarded restaurants. For traditional style Japanese you can’t go past Kamakura Matsubara-an. Specialising in soba noodles and utilising the freshest local produce on offer, this secluded hideaway is the perfect place to avoid the crowds, unwind and reflect on the day.